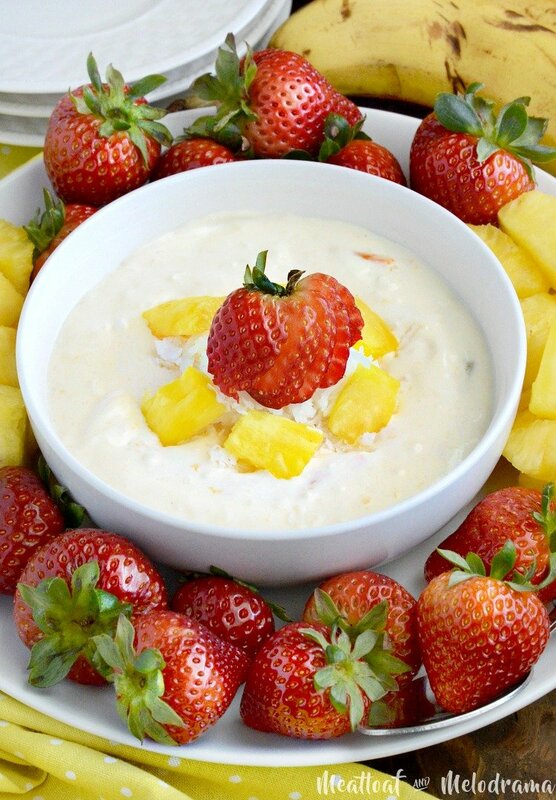 This Easy Tropical Fruit Dip is cool, creamy and made with only three ingredients. Serve it with fresh fruit, and it’s perfect for summer snacking! 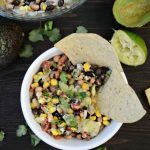 If you’re looking for a quick and easy dip for summer or anytime, this recipe is definitely for you. 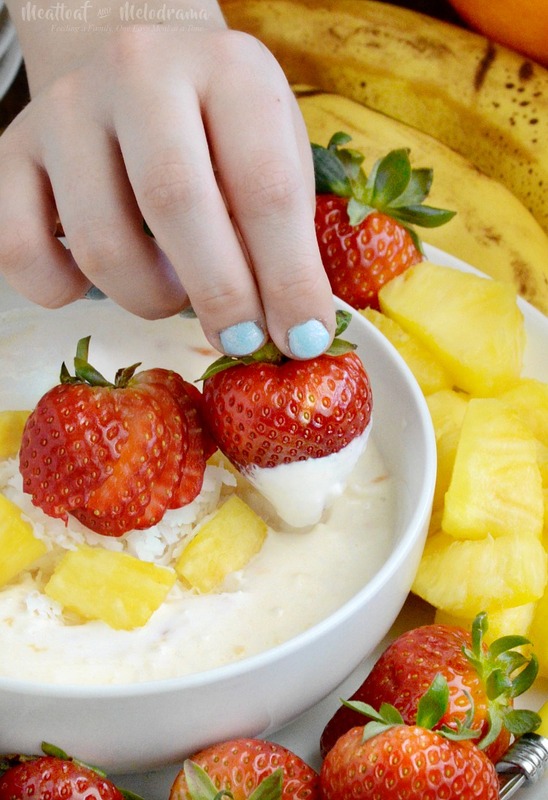 Seriously, it doesn’t get much easier than this cool, creamy tropical fruit dip! In fact, after I tried this recipe for the first time, my kids took over after that, and they even made this video! This is another vintage recipe from my grandma’s stash, and since it only uses three ingredients, I’m pretty sure we’ll be making this dip all summer long. My kids are almost out of school for the summer, and that means I’ll need plenty of healthy snacks, like fresh fruit and veggies, for them to munch on. If it were up to the kiddos, they’d probably reach for the crackers and chip first, so I like to keep lots of fresh fruits and veggies on hand, cut up and ready to go. Now, fruits and veggies are fine by themselves, and that’s how we usually eat them. But honestly, dips make them taste even better — right? 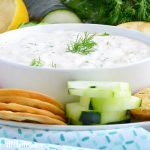 My easy cucumber dill dip is perfect for fresh vegetables, but this creamy tropical dip is the perfect accompaniment for fresh fruit. The dip gets just the right amount of sweetness from the preserves and the coconut, and the sour cream balances it all out. In short, it’s perfect! You can serve the dip with any fruit, but we thought that tropical fruits just tasted better. My kids love strawberries, and they are perfect for dipping, but sliced pineapple and bananas really do taste even better! 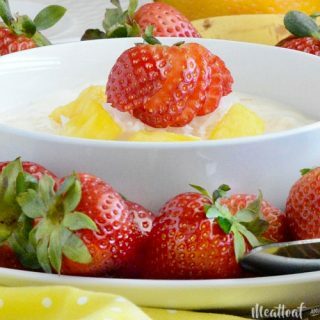 This easy tropical fruit dip is perfect for snacking, but you can also serve it at pool parties, showers and potlucks. My family loved it, and I hope you will, too! YUM! 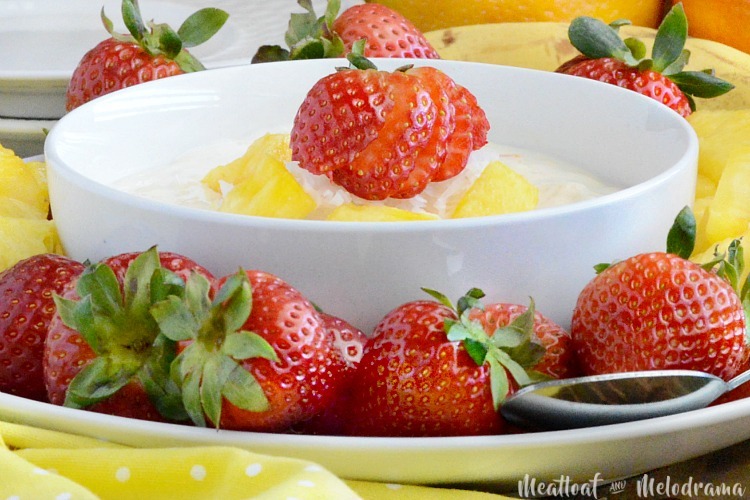 What a delicious, fruity dip to enjoy during the summertime! We’re definitely gonna have to try this! Old recipes are fun to make, especially when they can be served anytime! 3 ingredients? No way! I need to try this ASAP! It’s hard to believe, but it’s really good! This looks like a fun dip for kids parties…looks so good. 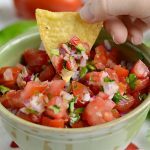 I LOVE how easy and delicious this dip is!! Can’t wait to try this awesome recipe!! What a great snack option! Kids will love it! What a great idea and it is certainly easy enough! Oooh my kids would adore this! Two summers ago my husband and I hosted a huge luau in our backyard. 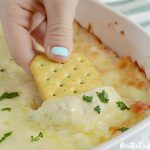 Wish I would have known about this dip recipe back then. It would have been perfect for the appetizer table! Your recipe was featured on Full Plate Thursday Top Ten. Your recipe has been pinned to our Feature’s and thanks so much for sharing with us!